I am brother of Alpha Phi Alpha Fraternity, inc. One of the many things that I love about my fraternity, is the service and advocacy that we demonstrate within our communities. Having struggles with mental health is a challenge that a lot of men deal with within the black community and are not aware of. 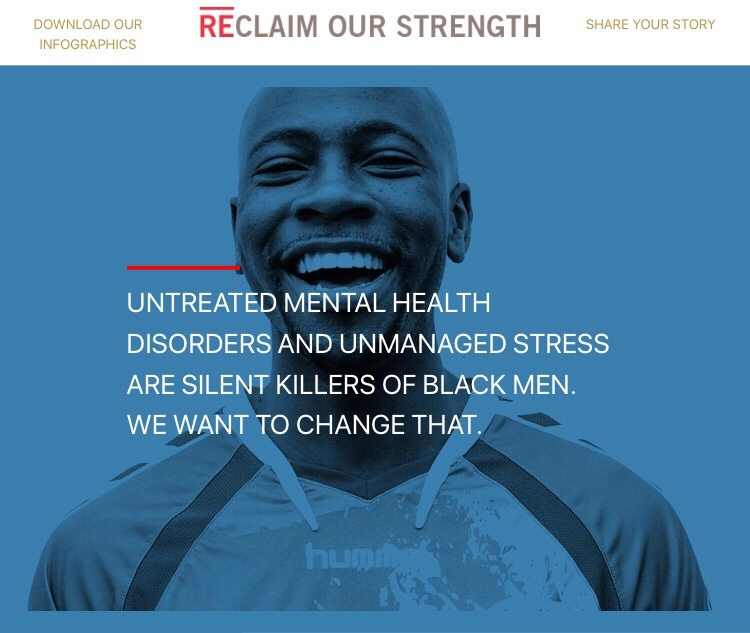 This is a struggle that I deal with and thus this endeavor in which Alpha Phi Alpha Fraternity, inc. and Henry Health have partnered up with the Reclaim Our Strength campaign to take on this issue that is near and dear to my heart. Reason being is that I hate seeing people not get the help that they so desperately need. 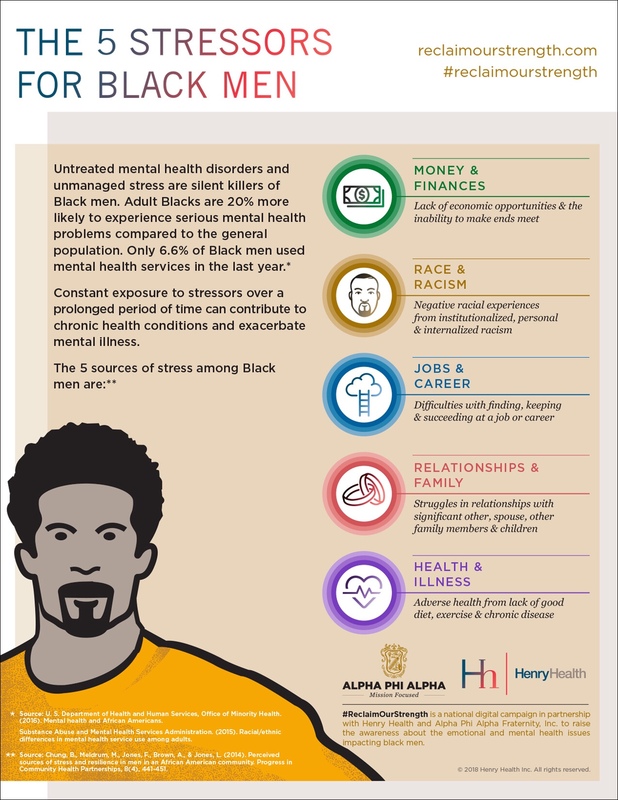 Untreated mental health disorders and unmanaged stress are silent killers of black men. Adult blacks are 20% more likely to experience serious mental health problems compared to the general population. Only 6.6% of black men used mental health services last year. Constant exposure to stressors over a prolonged period of time can contribute to chronic health conditions and exacerbate mental illness. If you are concerned with your own mental health or that of a loved one. Please visit Reclaim Our Strength and seek ways in which to get the help that you need.